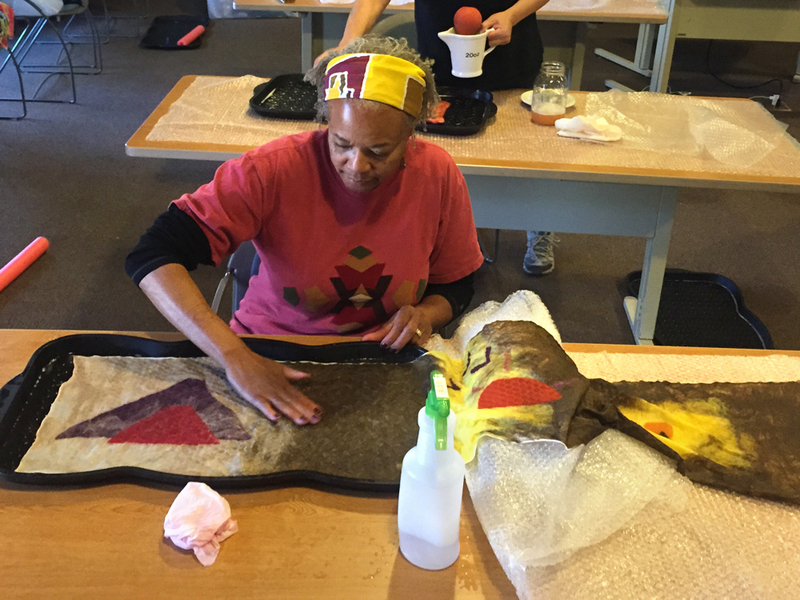 We just wrapped up an incredible weekend of nuno-felting and dyeing at the Grand Canyon! 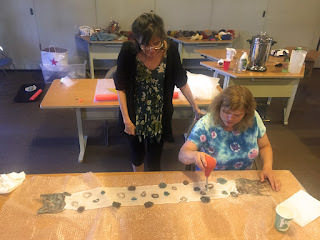 Workshop participants really pushed themselves, outlining challenging design projects on day two with fabulous results. 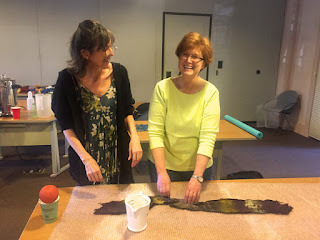 Special guest Mary Rooney showed everyone how to use acid dyes to color their wool and silk fiber in preparation for the class's second project. 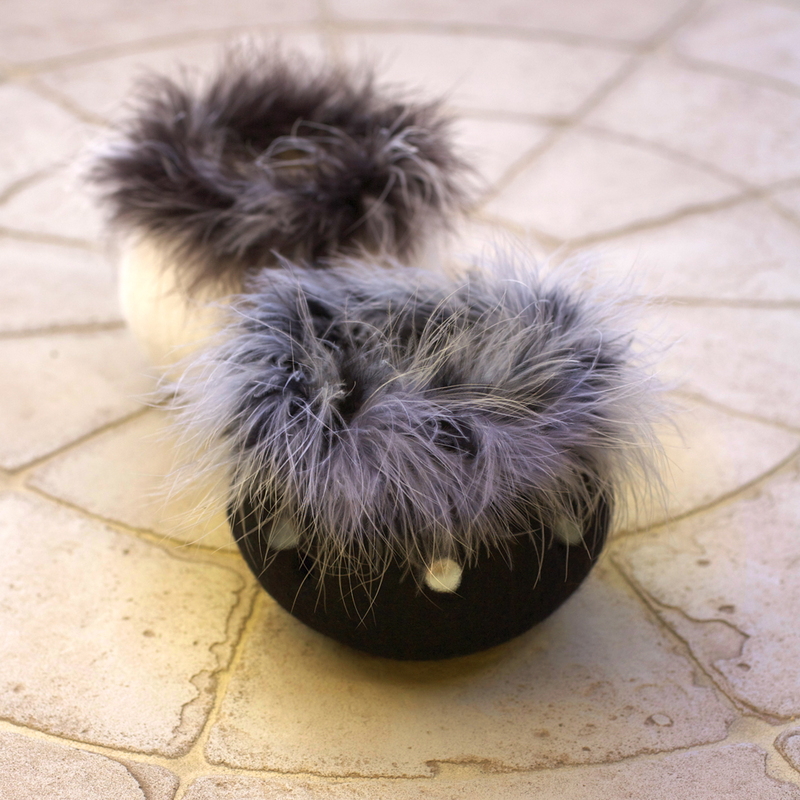 If you're interested in coming to the canyon next year, please join us for a Felting Vessels course. 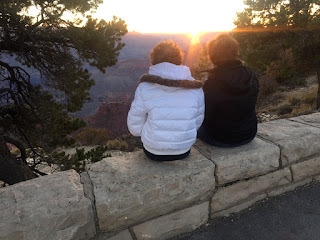 Details on Grand Canyon Association Field Institute's website. This weekend I'll be teaching a nuno-felted workshop at Grand Canyon National Park (hosted by Grand Canyon Association Field Institute). 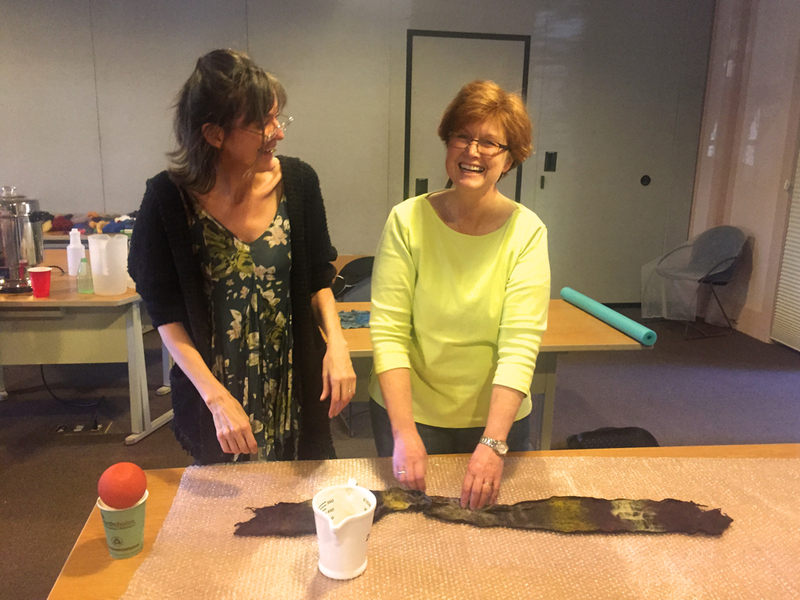 We'll be making airy silk and wool scarves and durable purses/tech cases during this two-day course. In preparation, I experimented with using masking tape as a resist. 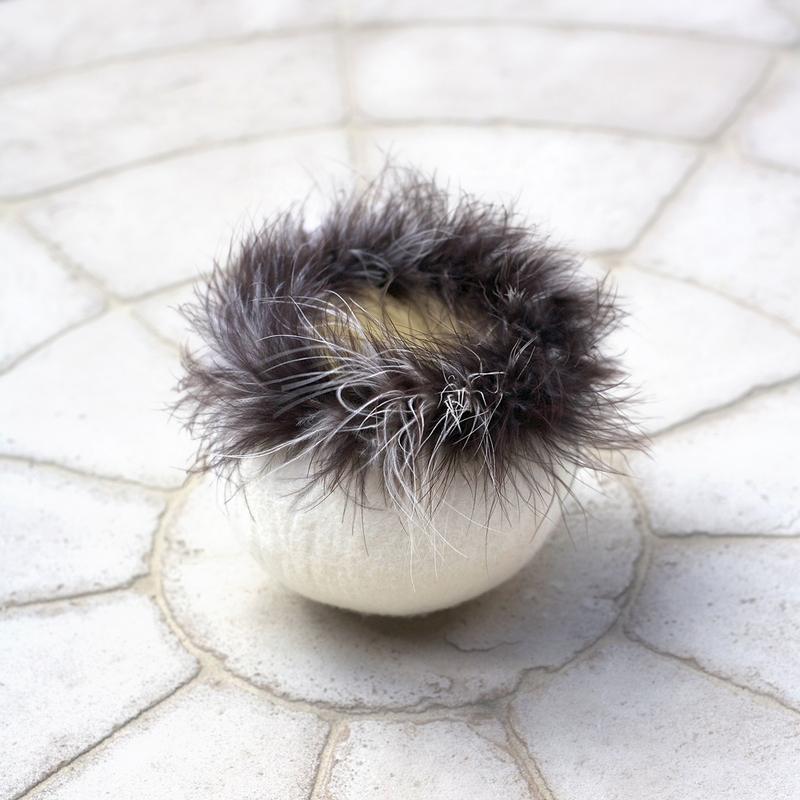 It was just one of those wild-hair ideas and I truly wasn't expecting the tape to stay in place during the wet felting stage, but it did (!) and I was so tickled about that. 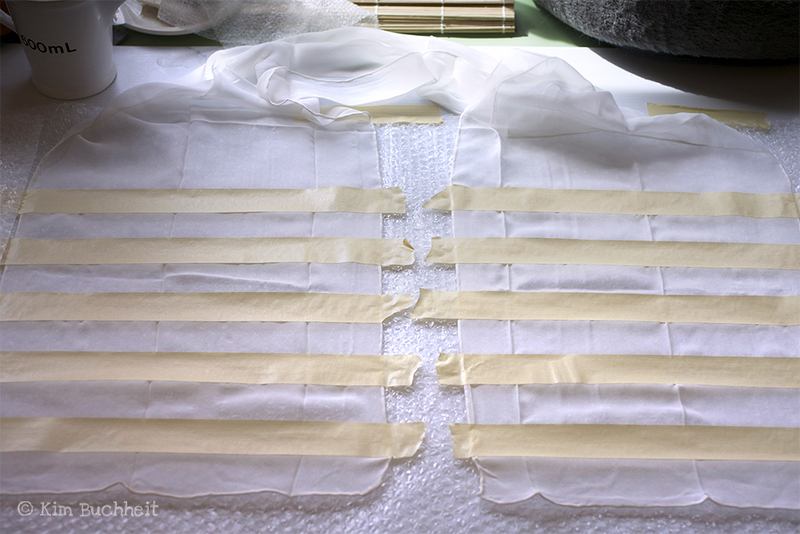 This striped scarf design requires very little fiber and, by exposing the silk in between, showcases the lovely silk chiffon while creating a beautiful sculptural fabric. 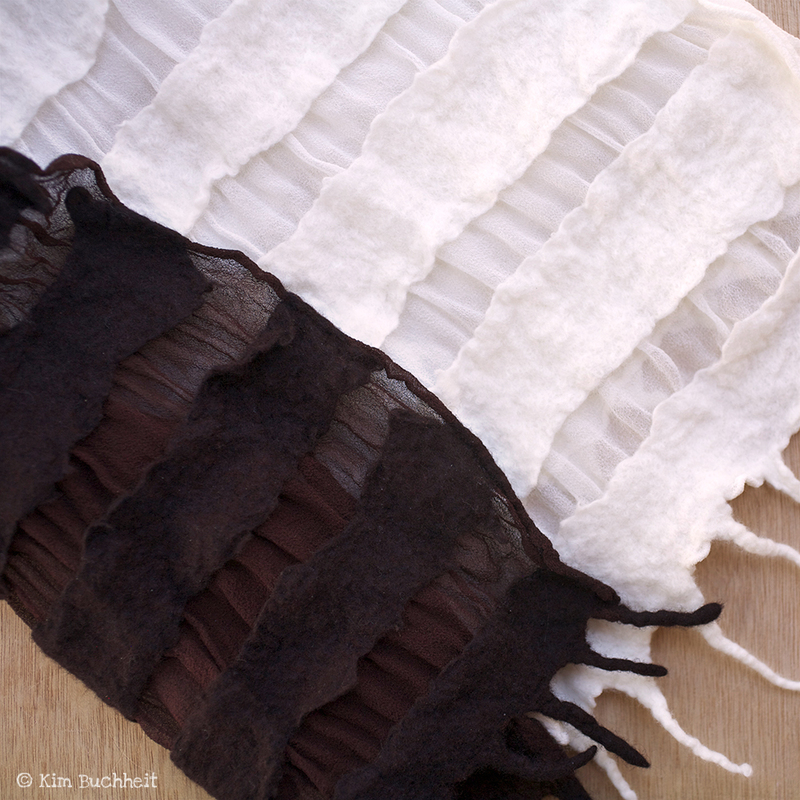 Both samples were made using creamy white Merino wool roving and silk. Once felted and dried, I dyed one sample scarf using Lansaset dyes from Dharma Trading. I'm looking forward to sharing this new technique with my students in a few days. And, btw, if you're in the area, call (866) 471-4435 to see if there's still space available... we'd love to have you join us! 2018 Fiber Workshops: Sign-ups begin today for Arizona Fiber Arts Retreat held in January, 2018. 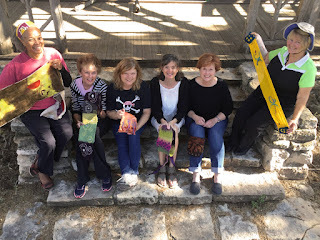 You won't want to miss this fun, fiber-filled weekend hosted at the Prescott Resort, in Prescott, AZ. On Saturday, Jan. 20th, I'll be teaching two half-day workshops on wet-felting vessels. 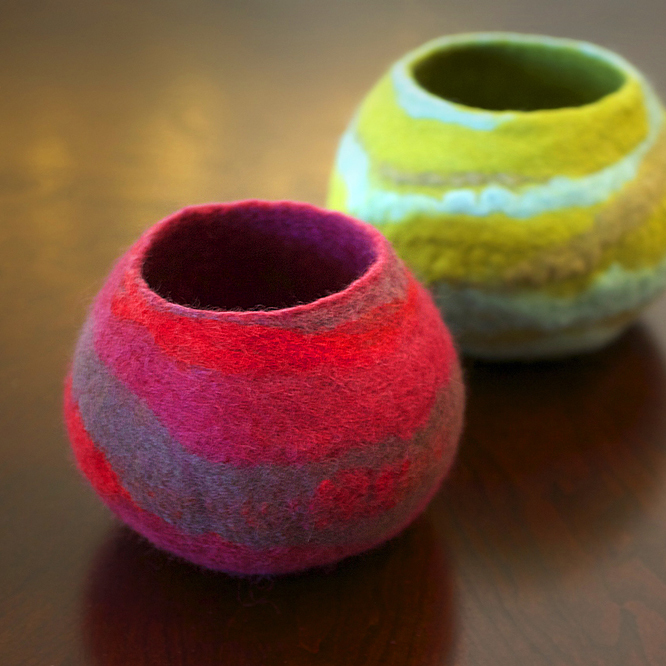 Participants will make small wool bowls or luminaria using resists — and learn everything necessary to confidently create more felted 3D pieces at home. Enroll early as space is limited... and because, come winter, there's no better place to be than sunny Arizona!